How to install packages for a specific Wordpress Docker? I tried making Docker Container from new docker images and linking them to Wordpress Docker with “docker-compose.yml” them rebooting the docker-composer, new containers Started but their Functionality did not reach through to the EasyEngine_Nginx Container. 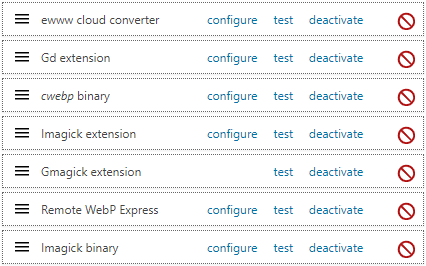 Need Help installing any of these packages for a Wordpress Docker, to convert images to WEBP format using wordpress plugin “webp Express”.